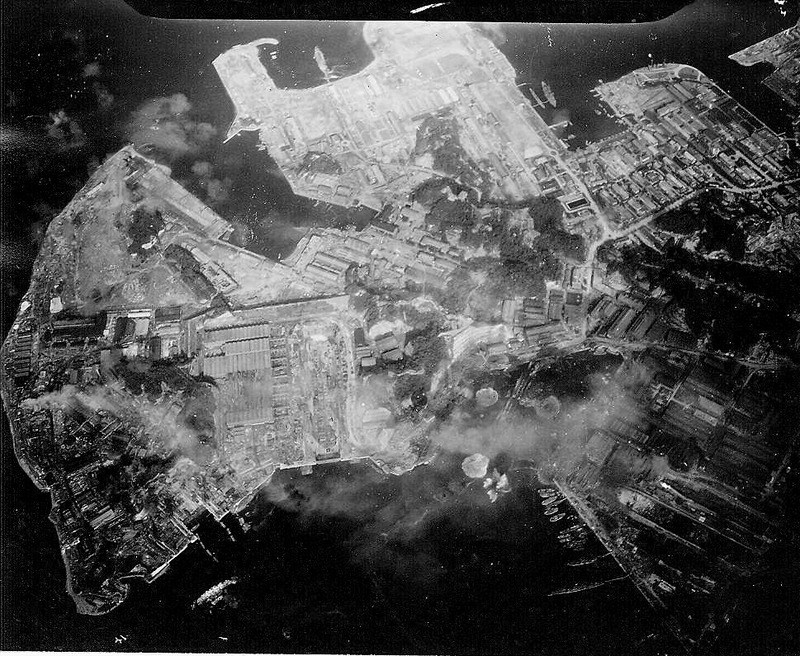 » Strike photo taken by USS Hancock aircraft showing an attack on the Yokosuka Navy Yard, Tokyo Bay, Japan, 18 Jul 1945. Note bomb splashes. This photograph has been scaled down; full resolution photograph is available here (969 by 795 pixels). The caption should read "1945" instead of "1845." You are right. It was a simple typo but it need to be corrected. Thank you for pointing this out.